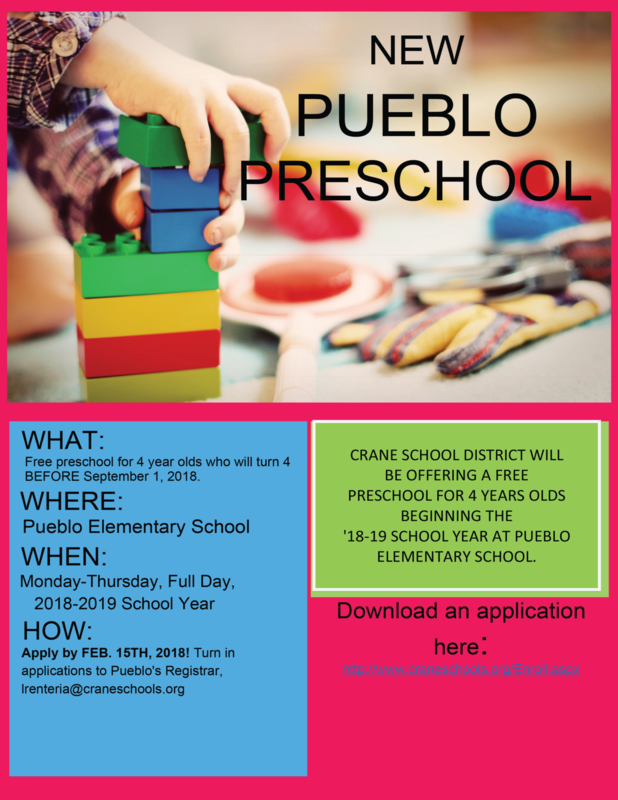 Pueblo is very excited to announce that we will house a preschool program for children who turn 4 before September 1, 2018. This will be a full day program and will follow the same schedule as Great Beginnings Preschool (Mon.-Thurs., closed on Fridays). Pueblo is now accepting enrollment applications for the 2018-19 school year. The application deadline for the lottery is Thursday, February 15th. Please find the open enrollment application here, http://www.craneschools.org/Enroll.aspx or you can pick the application up at any Crane school.